By now, we've all seen the shocking viral videos. The rage-inducing photos. The fire-and-brimstone calls for a boycott, firings, and someone's head on a platter—preferably Oscar Munoz's, if George R.R. Martin has his way (you know it's bad when the guy that dreamed up the world's most twisted wedding is outraged by your behavior). First, there was Leggingsgate. Then came the now-infamous denied-boarding fiasco. That was followed by scorpions on a plane, Grandmagate, and an Animal Farm-style story of a passenger downgrade, proving that, truly, "All animals are equal, but some animals are more equal than others." And speaking of animals, let's not forget the bizarre death—and subsequent unsanctioned cremation—of the giant rabbit Simon. Oh, and if that weren't enough, it appears United has something against weddings and honeymoons, too. 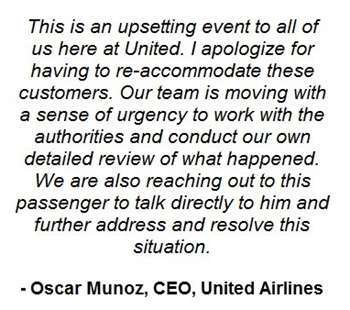 United, it seems, can't stop from shooting itself in its proverbial foot. 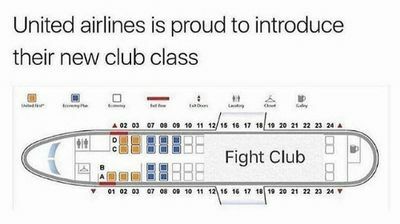 I'm guessing that shortly after those horrific videos, stories, and memes hit the Web and the crises started to mushroom out of control, Pepsi and Sean Spicer heaved a huge sigh of relief, and United's PR and social media teams made a run for the nearest bar. And, really, who could blame them? The company's handling of its tsunami of bad PR has been jaw-droppingly, astoundingly awful. Take United's very first (but now deleted) response to Leggingsgate: "UA shall have the right to refuse passengers if they are not properly clothed via our Contract of Carriage." Say what? And how about this initial response about having a passenger dragged bodily from the plane? Melissa Drozdowski is social media director at strategic communications company Interprose, where she helps clients make better social communications choices daily.